G'day! Today, we start a new series for Christmas 2011 by looking at the Old Testament before moving to the time of Jesus Christ, in the New Testament. Isaiah 41:4: "Who has done this and carried it through, calling forth the generations from the beginning? I, the LORD -with the first of them and with the last-I am he"
John 8:58: "I tell you the truth," Jesus answered, "Before Abraham was, I AM". 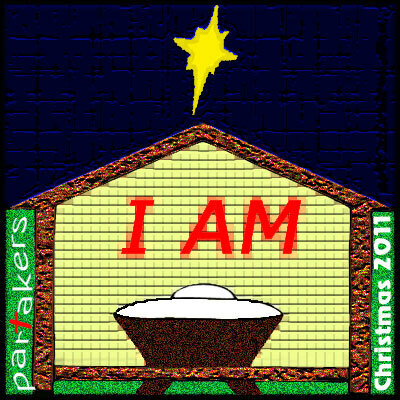 On seven other occasions in the Gospel of John, John records statements where Jesus said "I AM". These are unique to John and are not recorded in the other three Gospels. Here in John 8:58, Jesus is reinforcing His claims to be God. When Jesus says "I AM", he is referring back to the time when God revealed Himself to Moses in Exodus 3:14 and through the prophet Isaiah in Isaiah 41:4. That's why in John 8:59, they picked up stones in order to kill Him for blasphemy. This was in accordance, so they thought, with Deuteronomy 13, which dictates that anyone who tries to turn people away from the living God is to be stoned to death. They knew Jesus was claiming to the very God they thought they worshipped. In these seven "I AM" statements, as well as equating Himself as God with the "I AM", Jesus is also promoting his exclusivity as the only Saviour. As His disciples currently in the Western world, we get shouted at and criticized for holding such exclusive views. But if Jesus was not God and He was only one path to God, would Jesus have needed to go through the agony of the cross, as payment for the sins of the world? Of course he wouldn't have needed to. That He did, shows that He is the only path and only means of access to God. It is only through the resurrected Jesus that salvation can be assured and then only by a childlike faith and not by any other means. That is why we should not capitulate to current trends to unite all religions, which says that all paths lead to God. Jesus Christ Himself, as we have seen, and will see, has said that He and He alone is the way to God and that salvation is only through His work on the cross for all those who trust and believe in Him. Jesus, the great "I AM!"